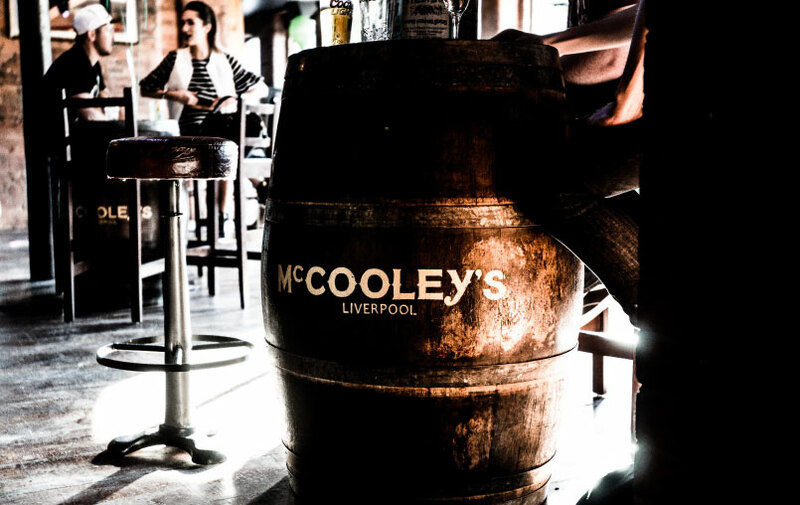 Situated in the heart of Liverpool’s bustling bar scene McCooley’s Moonshine Warehouse, on Concert Square, is a modern interpretation on the traditional Irish bar. 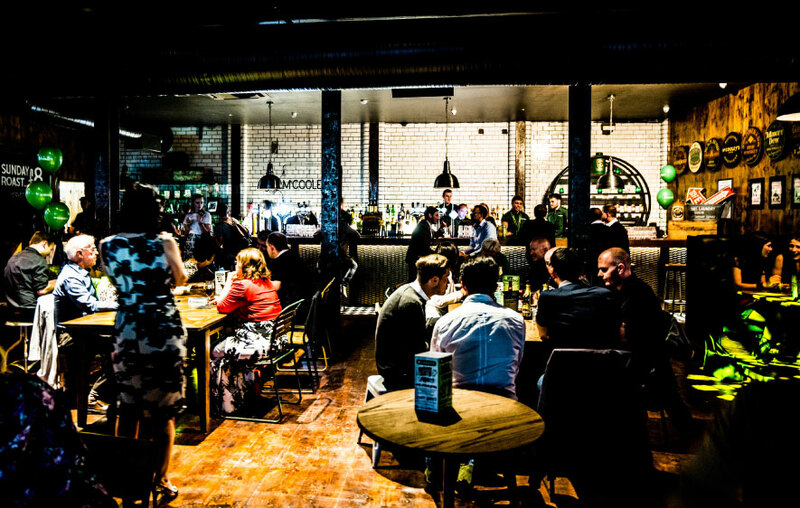 The Holmes building was completely refurbished to create the 12,000 square foot venue. 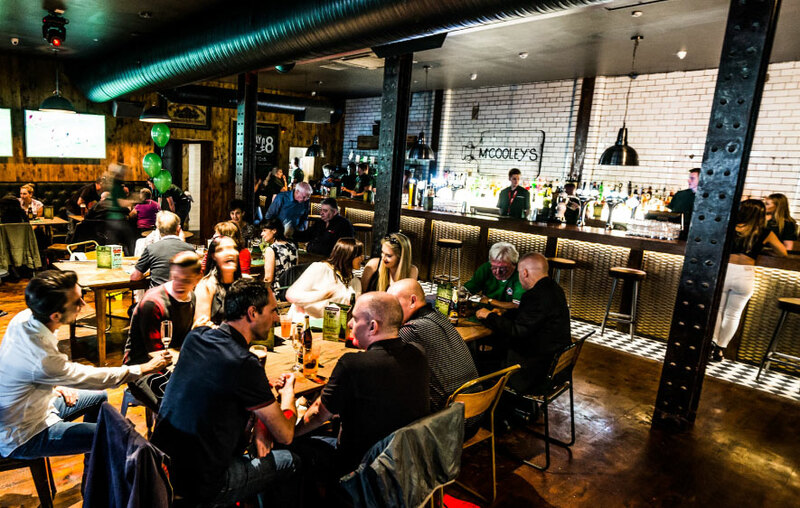 With three new individually characterised bars, the venue boasts a specialist cocktail menu, a dedicated sports bar, regular live music and pool tables. 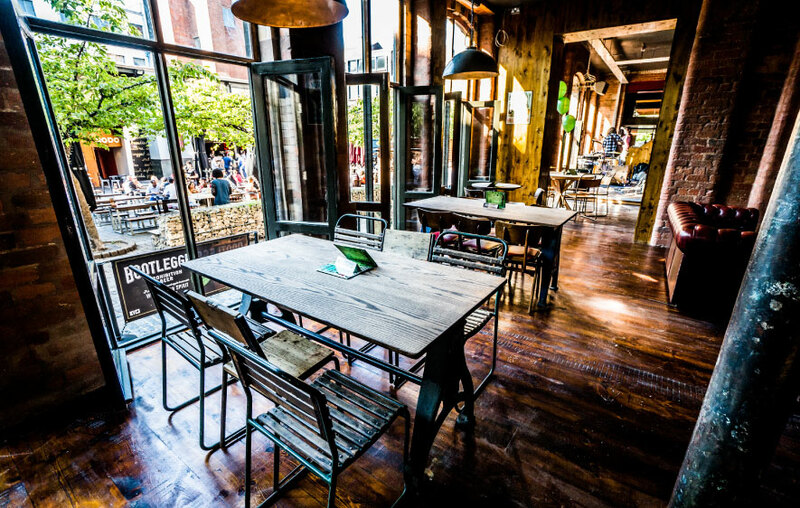 The rich materiality was enhanced through a blend of upcycled materials and carefully selected furnishings. 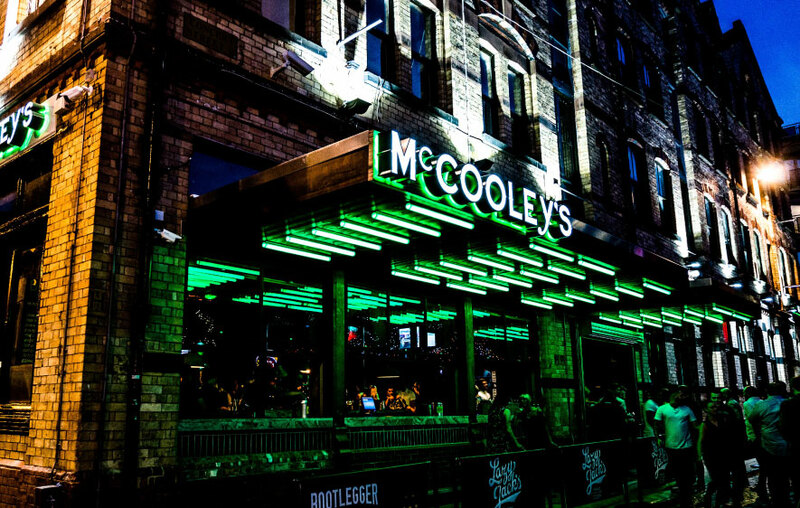 A new bar serves directly onto Concert Square under a strobe lit canopy, emulating the other bars on the square while a second entrance canopy now directs the flow of people into the venue.